Creative Florals of Charleston is a premier, full-service florist proudly serving North Charleston, SC and the surrounding area for over 15 years. The shop is open to serve your floral and gift-giving needs: Monday through Friday 9:00 to 5:00 and closed Saturday & Sunday. Everything looks better with flowers from Creative Florals of Charleston! Wedding & Special Event Flowers With Creative Florals of Charleston designing the floral bouquets and décor, your special function is sure to be a “blooming” success!! Call us at (843) 553-6311 to schedule a consultation and let our floral design experts help you plan a wonderful event. Sympathy Flowers & Tributes ~ Ask our staff about customizing a floral tribute to a departed friend or loved one. You can depend on us to help you choose funeral flowers that beautifully convey your expressions of sympathy and serve as a lovely memorial to the deceased. 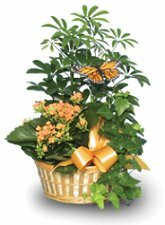 All Occasion Gifts ~ Browse our assortment of dish gardens and green and blooming plants for a gift that brings life to any room or office. 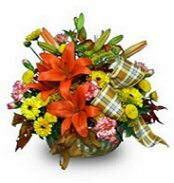 We also carry a large selection of silk & dried florals, greeting cards, stylish candles, cuddly plush toys, baskets of fresh fruit, gourmet baskets, gift baskets, and more! For your convenience, we accept all major credit cards and we offer daily delivery service to all local funeral homes and hospitals.